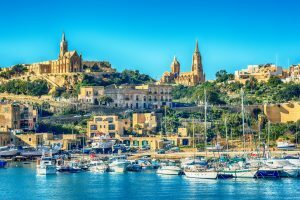 With its historical fortresses that speak to a succession of different colonial periods (form the Romans to the Moors to the Spanish to the British and more), it’s stunning beaches, it’s laid back Mediterranean lifestyle and it’s relatively low cost of living, it’s no wonder that the island of Malta is attracting large numbers of expats which have decided to call Malta home. There’s also great night life on the islands (Malta is an archipelago with three separate islands) as well as lots of diving and other water sports. However, before doing all this, one needs to look into the types of Residence Permits on the islands. Malta is basically paradise and an affordable paradise at that. It’s also a member of the European Union and with a population hovering around 450,000 inhabitants living in a total space that covers a little over 316 square kilometres, it’s also the smallest and most densely populated EU country. 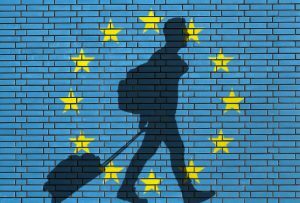 Geographical titbits aside, however, Malta’s EU status does make it easier for foreigners to legally live and work on the islands. Specifically, Malta is a part of the Schengen area of the EU which means that there are special requirements. There are different types of residence permits in Malta and depending on who you are, what you do, and where you’re from one type of visa/permit is more suitable than the others. Here is a run-down of the different types of visas and resident permits in Malta and how to apply for them. The Schengen Area is a region comprised of 22 EU states (the entire EU minus post-Brexit UK as well as Bulgaria, Croatia, Cyprus, and Romania) plus non EU members Norway and Iceland. The great thing about travelling through the Schengen Area is that once you are in it -either as A) a citizen of one of the Schengen Area countries or B) a third country national with a Schengen Tourist Visa- you are allowed to move freely from country to country without having to present your passport or met with any border controls. What this means is that, with a Schengen Tourist Visa you can travel freely back and forth between Malta and Italy/Greece without having to apply for a separate visa each time. Also, you can move in-and -out of Malta and throughout the Schengen Area for 90 days (the duration of a Schengen Tourist Visa). Getting a Schengen Tourist Visa is fairly simple and usually consists in nothing more than a stamp in your passport at the border of the first Schengen country that you enter. Make sure that the visa you’re given allows for multiple entries if you plan on doing a lot of travelling around during the 90 days duration of the visa. If you’re in Malta on a Schengen Tourist Visa and you’ve decided you’d like to stay in the country, you can apply for a visa extension at the Central Visa Unit (CVU) located in the Mediterranean Conference Center on Old Hospital Street in Valletta. A Schengen Tourist Visa can buy you some breathing room while you apply for a permanent residency visa in Malta, which is what we’re going to be talking about next. 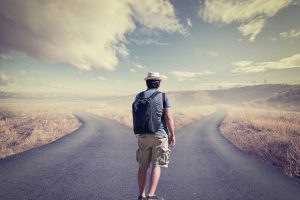 Right off the bat, you ought to be aware that the majority of expats are required to pay a 15 percent tax on their income. This may apply also to “digital nomads”, pensioners, and others who bring in income from outside the country (although there are some tax-exempt programmes which we’ll talk about shortly). In many cases there are tax treaties that make it so you won’t pay tax twice (once in Malta and then again in your home country). 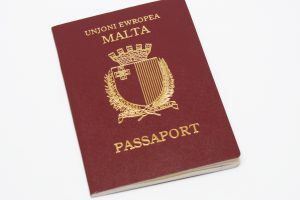 Keep in mind that residency in Malta is not the same as Maltese Citizenship. Also, there are different types of residence permits in Malta. This is the residence visa in Malta for ex-pats coming from other EU countries. The tax rate you pay with this visa varies depending on your income, marital statue, and any tax credits. An ordinary residence needs top be renewed every five years. This is the residency visa in Malta that’s open to everyone, even if they’re not from an EU country. This visa needs to be renewed every year. There are also special credits such as the Malta Global Residency Programme and others for those who wish to buy property in Malta. At any rate, talk to an immigration lawyer and others in the ex-pat community in Malta.